The New Year is almost upon us, and the chance for some new goals. For us, it’s all about writing more! That’s why we’re launching Write A Play – or WrAP. This month we’ll be posting a whole host of writing prompts, exercises and resources to guide you through the process of getting your first draft on paper. So by the end of January, you’ll have a wonderful new play under your belt! And here at LPB we’re doing it right alongside side you. As Editor, I frequently get to write about brilliant playwrights and their work, but now it’s time to write a full-length play myself! 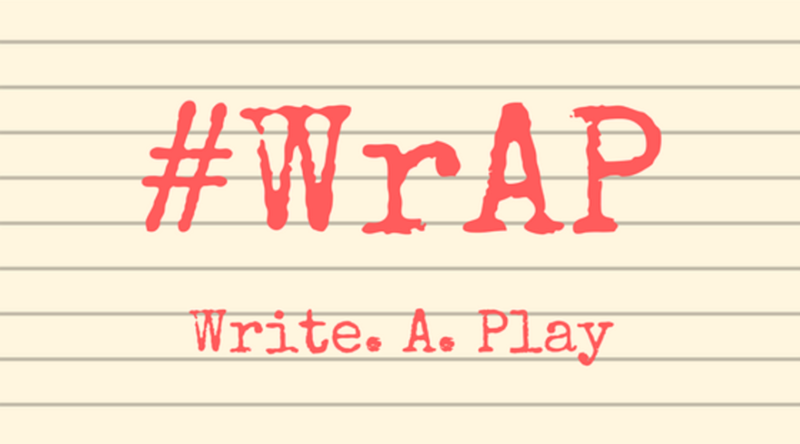 I can’t wait to take part in WrAP and I’ll be posting my weekly diary about what I’ve enjoyed (and the things I’ve struggled with…) right here on the blog. It’d be wonderful to create a fabulous community of writers all taking part in this initiative, and my diary’s a way of us reflecting on the process. If you want to take part in WrAP, participation is free, but you need to be a LPB member. Find out how to sign up here.